I'm a residential homes loan officer. So, being a loan officer, I fully know what it's like to be negatively stereotyped up front solely based on your professions and to deal with already skeptical and cynical clients before even officially meeting them! And I must admit that, despite that affinity, and all the positive back ground checking I did prior to even driving onto their dealership lot and meeting Ron and Ali for the first time, I was equally as skeptical and guarded as most would be dealing with "used cars salesmen!" And the fact that they were selling salvaged car, and that this was the first time I ever considered let alone purchased a salvaged car, my cynical and skeptical radar was on full RED alert! LOL. Nevertheless, from the very beginning thru to the closing of the transaction, Ron and Ali were top notch, consummate, professionals. Not only were they fully understanding of my concerns and reservations, but they went above and beyond to accommodate my requests to alleviate them! Even to the point of allowing me to take the car off the lot not only once, or twice, but three separate times in order for first my mechanic and then both my auto body and tires specialists to thoroughly go over the vehicle and give their recommendations. They even renegotiated the vehicle's original asking price (which was already a great deal) to insure that I would be totally satisfied with my decision and purchase. And I have been! Exceptional accountability and customer-first service is a scarcity today. A dying art really. But it's truly alive and well at BrokersAndSellers.com. As a result, they will always have my business and referrals. 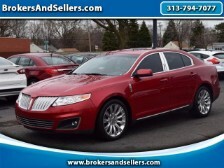 I brought a 2010 Lincoln. 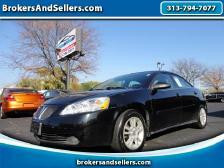 I am very thankful that I found brokers and Sellers it a different car buying experience. They took the time out to show me the car before and after. I was able to take my time and test drive the car before I brought it. My broker was very informative about the car I was purchasing. I felt very secured when speaking with him. I was able to asks as many question as I needed. Most important was when I pick up the car, it was not a long wait, paper work was ready and he took the time to explain each documents. 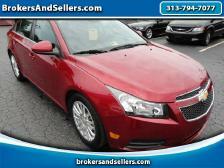 If you are in the market for a car please come on down to BrokersAndSellers you will be happy you did. Thank for being there for me enjoying my car. Make the trip---you will not be disappointed!! Our first meeting with Zain and Allie was very positive and we really liked how up front and honest they both were from the start. They made us aware of some issues that others had with the vehicle we were interested in . They introduced us to their mechanic who spoke to us at length about the work he had done and such. Everyone we encountered was friendly, professional and honest. We were very impressed with the integrity of the company and its employees. 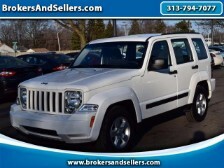 We purchased a 2010 Jeep Liberty for a good price, fixed a couple of minor issues and just love it. We are glad that we made the trip and look forward to doing business with them again in the near future. 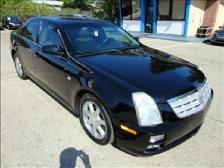 We have already recommended them to many family, friends and co-workers looking for vehicles. Thank you again Zain and Allie. Great service. Bought a 2014 Ford Escape and had a couple of issues with it. Ron took care of them and made the whole experience as painless as possible. I will be back for my next vehicle. They know how to take care of their customers. 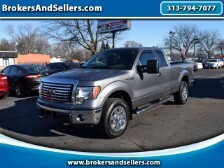 I bought a Ford F-150 very excited and happy. Everybody was so helpful and friendly. Will recommend to friends and family. The whole process was made easy and was without pressure. 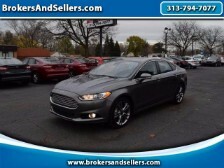 The 2015 Ford Fusion looks and runs like new! They have great customer service and they stood behind their work. When there was a problem with the car in the first week, I called them, and they fixed it as soon as I came in. Great experience all around and great people to deal with. Thanks again! Went out there car lot today which is very nice and clean inside and out which is very important to me. Zain and Ron are both the most nicest and sweeties young men you could meet, very patient not pushy but what me and my sister both like most if that they are truly very two honest young men in their business which is very hard to come by, They showed us the picture of the damage to the car that I'm going to purchase and the car fax which was good, the care is really nice very clean inside and out mileage good on the car it rides and drive great to had been in a fender bender to the back bumper I would do business with these two young men again when in business in the years to come for a nice rebuilt care they have some beautiful cars on there lot truly beautiful, customer service is outstanding with these young men also willing to work with you and make sure your satisfied and happy, thanks again, will be picking my car up on Monday. 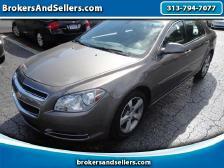 I just purchased a vehicle from brokers and sellers, it was a 2014 Chevy malibu. 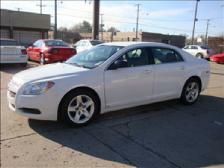 It's a nice car no problems, very clean and a very good dealership to buy a car from. 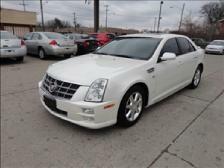 I recommend anyone that would wana buy a car, I would go to this place. Just bought a 2012 accord!! Awesome experience. No pressure , great guidance and a very good price!!! 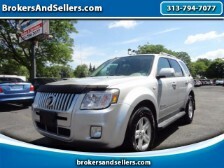 Also bought my wifes 2009 Honda pilot here. Will be back for my next car! 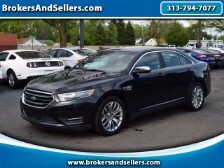 I recently purchased a vehicle, a Ford Taurus, from Zain. 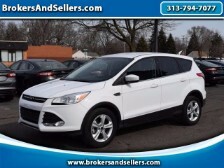 I was impressed with their customer service, I went in several times and test drove several vehicles; each time they were very patient with me. Zain was interested in finding the right car for me. He respected my decision and was a big part in helping me decide what was best for me. I look forward to working with them again in the future. I had a great buying experience and definitely recommend them! 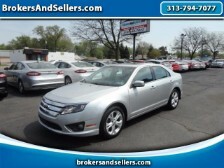 Just purchased a 2014 Ford Fusion from Ali today. I let him know I thought there were a few issues that needed to be addressed before delivery and he had the mechanics inspect the car and make the necessary repairs and I took delivery the next day. 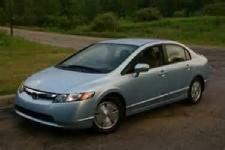 Service was great and I am very pleased with the vehicle. The team is very honest and has a great focus on customer satisfaction. 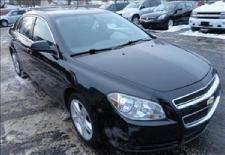 I will definitely refer people that want a solid car for a great value. Thanks guys! 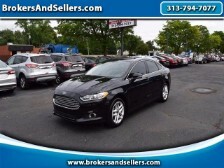 I purchased my 2015 Ford Fusion from BrokerAndSellers dealership and it was an easy experience working with Zain and his team. The car looks and runs great. 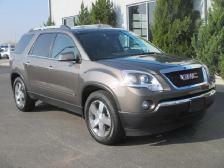 On October 5 i purchased my 2013 GMC terrain from brokersandsellers and i LOVE it. I had a great experience buying from this company. They do not pressure you or hover over you when you are looking at their vehicles. They are very informative and strongly encourage their customers to get the car you want inspected by your own mechanic. Ron (the owner) went above and beyond for me and he fixed all of the minor repairs on my car that mechanic said was wrong without hesitation. 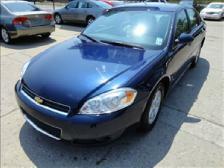 Cars are very very reasonably priced and in excellent condition. I will recommend brokersandsellers to anyone and will definitely purchase any future cars from here. 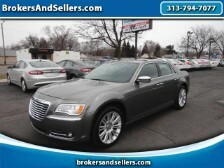 The cars sell fast so if you see something you like you better jump on it. Thank you! 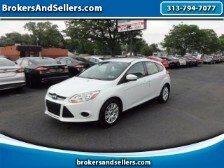 Thanks to Ron and his team, we purchased a 2012 Ford Focus at an amazing price. The car looks and runs great. I know we will get a lot of years out of it. I'll probably buy another rebuilt car again. Kip and Tracey R. in Illinois. 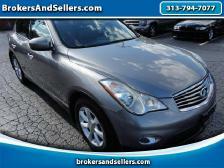 I am fully satisfied about purchase Hyundai xg350l car from brokers&sellers van born rd. 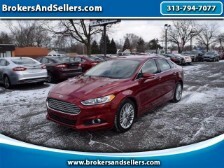 They allways give good service and very good behavior ,and their after sale service is excellent .Mr. Ali- Mr. Ron and all very nice ,My all best wishes for best progress of them. Thank you for a good buying experience! Ron made sure the car was in great shape when we left the lot. We had a small problem, but it was made right and we are happy with the car. Thank you! Great place to buy a car. They were totally up front about everything, no pressure to buy, very factual and accommodating. I did spend some money on the Mercury Mariner Hybid that I bought but it was all routine maintenance for a car with its mileage. Nothing related to the repairs had to be addressed. 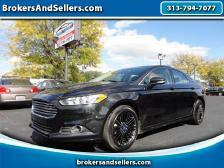 The Ford dealer said that everything looked good and it is proving to be a great car. 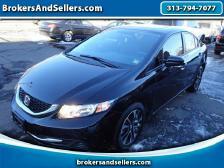 Ali was our salesperson and was excellent. Will definitely visit them again when I need another car. 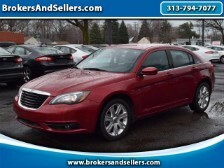 I drive up to Detroit to Brokers and Sellers from Toledo when I need a great deal on a used car. 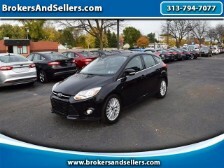 I have bought 4 cars from Brokers and Sellers over the past 2 1/2 years -- one for each person in the family. 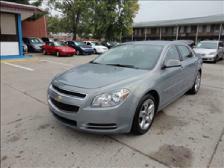 Each car has been a great buy and we are enjoying each one. Thanks to Ali, Ron and Zain for many hours of helping us find the right car and giving us an honest deal every time ! Great company im currently driving a car from here! Zain was nice and knowledgeable . I will be back to purchase another vehicle from them a more upgraded one. 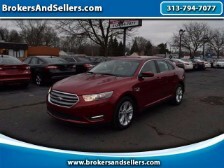 If your looking for a vehicle at significant savings... clearly they have options for you. We bought a 2014 Honda Civic that was a true deal. you have got to go into it knowing your buying a vehicle that has been damaged and repaired... and your insurance company likely would not offer you full value on should you total it out again, but hey.... the savings can make it work the potential risk. Service from Ali and Zain was great. The vehicle was clean and ready for as we arrived and the process was painless.... the big question... would I buy from them again, YES. 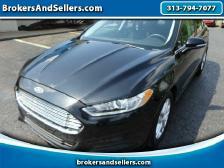 I recently purchased a 2013 Ford Fusion that is extra clean, and in great condition with very low mileage. Outside of getting a great deal, I really appreciate the customer service that I received! Thank you to Ali and Zain for your kindness and professionalism! I went to these guys after seeing a 2007 Focus on their website, and from first introductory handshake to signing over the car, these men were very polite, professional, and as helpful as they could be at any point. I will refer anyone I know who may be looking for a vehicle to these fine gentlemen. Couldn't have asked for a better experience. 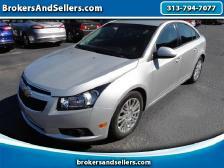 I bought a 2012 Chevy Cruze from them and they were awesome. They informed me about everything about the car from start to finish. Their handling was very professional and I couldn't be more happier. Zain and Ron was excellent in dealing with me. I will recommend this dealership to other and will buy another car in the future from them. 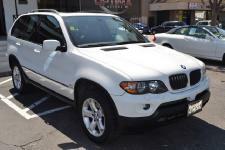 I recently bought two vehicles from Universal Motor Group and was very impressed with the people and service. Ron, Ali, and Zain all went out of their way to make sure I was completely satisfied with my purchases. I was never pressured, or deceived. One thing that I can truly say is that they are very honest people. They even encouraged me to take the vehicles to my own mechanic. I was ready to take one of the vehicles home when Ron spotted and pointed out a defect on the body that I had missed. He offerd to fix it at my convenience. I'm looking forward to buying my next vehicle and working with all of them again. 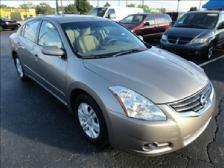 We bought a 2008 Infiniti Ex 35 the car drives great. Zain was very helpful and when we got there he backed off and let us check out the car for ourselves. 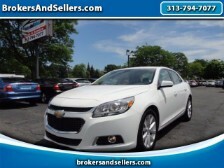 The dealership offers great warranties and makes buying the car hassle free. It was a good experience and if your looking for an affordable good looking car I would advise you to check this dealership out. 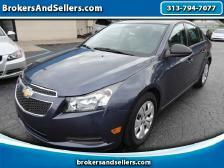 I bought your 2014 chevy cruze eco and wow what a car. I liked that there was no pressure from you when looking and that you wanted me to be confident with the car prior to buying it. Thank you!! Zain, I will be back for my next vehicle purchase. I had been looking to purchase a vehicle for about seven months. I was Going to different car lots trying to get financed also pay cash at times, but being that I'm a female car salesman were trying to get over on me sad to say. So I was down to my last result on what I needed to do. My boyfriend was searching the web when he came across this place he said hey I called them you should go check them out. So I went in. The customer service was really great, they were honest and patient with me. 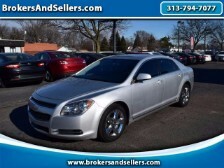 I was able to test drive as many cars as I needed to make a great decision, I was not rushed on buying anything. Not to mention they worked a reall great deal with me being that I didn't have much and was looking for a particular car size! I'm so happy that I went to them. I am very please with my car being that it has a rebuilt title. It feels and drive like a brand new car! I would recommend them to anyone. 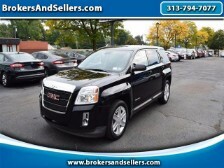 I come from Delaware, Ohio i check the price everywhere Ali is very nice person and he gave me a very good price really nice price for the GMC 2010 Acadia what else can I say just thanks, I hope to return for another car. Very happy with universal motors. I was coming from out of state with my wife and two young kids. So I was wanting to make sure that the Acadia was what I was wanting before making the drive. Ali and Ron were very honest about everything and the vehicle was just like they told me. Very good people and will continue to do business with. Thanks. Thanks to Zain, Ron and Ali i now have my first car. I kept searching for a car that was good and within my budget when i saw the universal motor group. 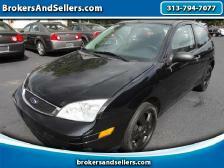 I took my time deciding because they deal with rebuilt salvage cars and i didn't know much about rebuilt cars. When i contacted them, they were very helpful in so many ways. I came to them with the picture of a car i wanted and they pointed out to me an even better car for the same price,and showed me the car's salvage picture which was not bad at all. They also insisted i take the car to my mechanic before buying it. They were willing to work with me and my budget and time. I am really grateful guys and I can't think of ever buying a car with a clean title again. Looking forward to buying a car for my mum from you. 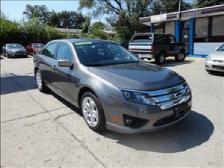 I live in Toledo, OH and was looking to purchase a car in full. After looking for some time I began to give up. I started to look on craigslist when I came across Universal Motor Group Inc. I noticed some really great looking cars, the Avengers in particular and decided to take a 1.5 hour drive to come look at the lot. 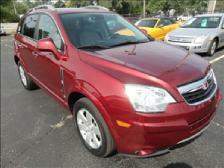 While there, I saw this exceptionally clean Saturn Vue and was sold. After test driving the car, I really wanted it but the price was just a bit out of my range. Ali, one of the Brokers worked with me and the next day I was on my way home in my new Saturn truck. The men at Universal were very professional and respectful. Ali even paid $19.95 to express a second temporary plate to my home so I could drive while waiting on the title. I believe it would have only been $0.10 to mail it regularly, but that showed me how much compassion there is in what they do. I am completely satisfied with my purchase. 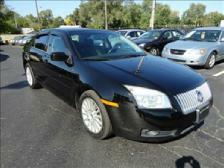 My Mother will be looking for a car soon and she is not allowed to go anywhere else but Universal Motor Group. My experience with Ron and Ali can not even properly be put into words. 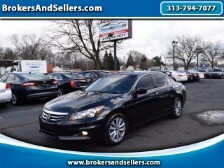 From our first conversation on the phone we were impressed, with their customer service, their patience, and willingness to understand we were out of state inquiring, Ali was wonderful, he sold us the car, and made us want to travel to make purchase. He was honest, helpful, upfront about the car. It was everything he told us. We made our trip knowing we were going to purchase this car!!! Once there they continued being everything you expect out of customer service, friendly, helpful, patient, and knowledgeable.Made this a great buying experience, weve already passed the word on!!!!!!! I'm truly loving my car!! Thank you so much!! 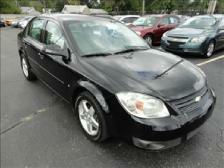 It’s the platinum edition with Stability control, climate control, leather seats and what not, only 60K miles. In the retail market it would cost anywhere between 12-14K . The only problem was that it had gotten hit on its driver door , it was a minor dent and a fender-bender , I am still wondering how it got a rebuilt title.. Ron , showed me the accident pictures, proof that the car’s engine was in a running state, asked me (rather forced me) to take the car for a independent checkup. The car came out to be clean and it ran like it was in its teen years. As soon as I had gotten into the car I had made up my mind that I am going to get it. These people were offering me the car at less than 50% of its retail value. Ron made the paper work and the entire process look so easy. Thanks man!!.. 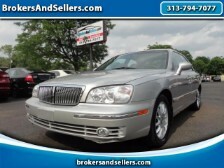 I wonder if I am ever going to buy a clear title car… I don’t see a point? 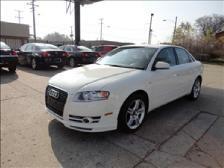 I am going to upgrade to an Audi or BMW soon ;) .. I am checking your website very often ? BTW, I have had this car for 4 months now.. No issues!!! 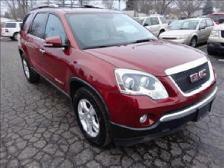 When I purchased my suv this was the best car buying experience I've ever had! I got a GREAT Deal and Ron was very professional, honest and answered all my questions! 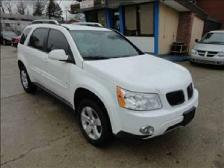 Customer service is the best, nice friendly staff and did i mention i LOVE My SUV?!?! 5 stars on every aspect of my experience and i will go back for my car buying needs time and time and time again! Ron and Ali at Universal were great to deal with. They were upfront about the vehicle I was interested in, giving me all of the vehicle history before I purchased. They were genuinely concerned that I was happy with my new car. I was an out of state buyer, Ron and Ali handled all of the paper work so I didn't have to run around everywhere to get the title transferred. When it comes time to replace my wife's car, I will check Universal first. Its the best way to get more car for your money. Ron was very honest, and he was a pleasure to deal with. I've already recommended this dealership to friends. Thanks again from a very satisfied customer! Drew B. Everyone at the dealership was great and upfront about everything. 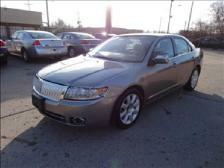 We felt very comfortable and got an excellent car for an excellent price. Thank you :) - Emily R.
I had a great experience with Universal Motor Group. Their customer service was excellent and they gave me a great deal on my car. I am looking forward to buy a car for my wife from them soon. Sincerely, Robert S.